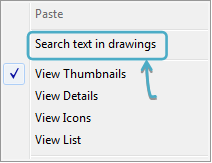 It is an advanced feature which is available in the “Browser mode” so that you can search texts in multiple drawings in one go. 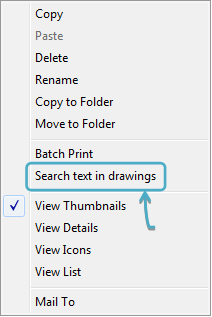 You may search in a folder, even within its subfolder. 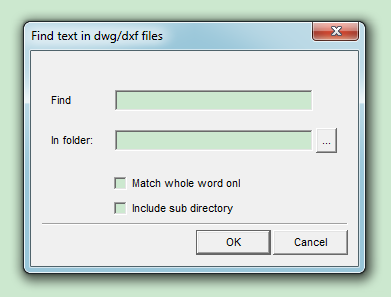 DWGSee will traverse all the drawing files for the occurrences of the matched texts.